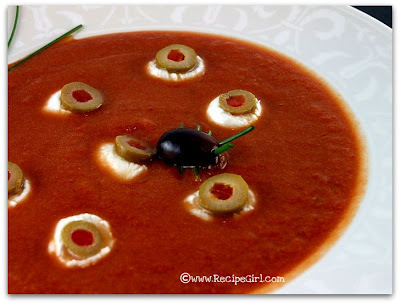 The Recipe Girl: Eyeball Soup with Bugs... Anyone? 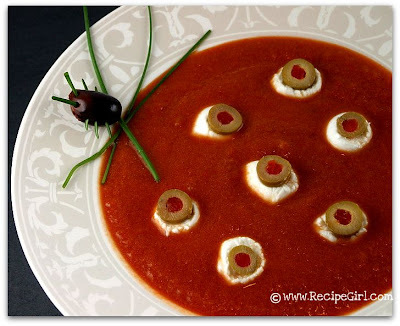 Eyeball Soup with Bugs... Anyone? Sweet treats have been abundant to celebrate the fun of Halloween, so I decided to incorporate a bit of the gross-out factor that Halloween usually encompasses into our dinner last night. 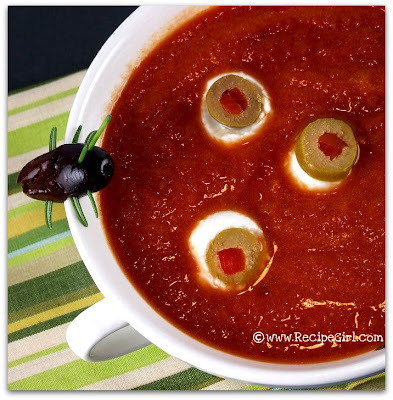 Martha Stewart's folks came up with this icky-but-yummy soup idea that I re-named Eyeball Soup with Bugs. Traveling bugs across the surface of your soup full of eyeballs... isn't that what everyone hopes for on Halloween night? You're guaranteed to be dubbed the *cool* adult in the neighborhood if you serve this up to visiting children. Chilly day outside? 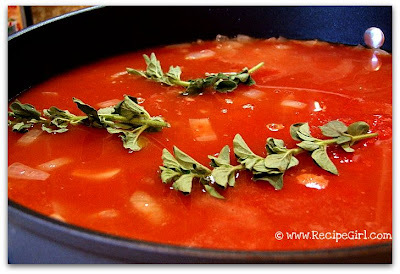 Instead of offering kids a hot cup of cocoa, consider doling out mugs of tomato soup with an eyeball and a bug. Nothing but fun there. Happy Trick or Treating tonight! We'll be following Harry Potter around our neighborhood (if we can manage to keep up with the sprinting from house to house). A glass of wine might just have to accompany our journey.